As per SEMPO’s recent salary survey, the average pay for search engine marketing and digital marketing professionals is up by 16% since 2013. 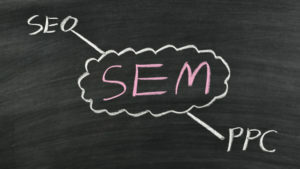 There’s a non-profit organization for SEM and SEO professionals polled around 600 search and digital marketing professionals through various roles, from entry level to executive roles. Among the survey questions, there were queries covering a wide variety of salary and work related topics, which includes bonuses, compensation packages, professional responsibilities and search marketing budget sizes. Some other key results from this survey showed growth in SEM salaries at $100,000 and that the ranks of such veterans are also on the rise. On the other hand, the total number of entry-level practitioners was also on the decline. 95% of the respondents said analytics were a main part of search duties and above 10% of respondents said they are habituated with managing 50 or more accounts or websites. As far as job perks are concerned, being able to work remotely was the work benefit behind their motivation. The vice president of research in SEMPO, Marc Engelsman said that the survey was a good complement to the annual state of search survey. This research offers valuable perspective from different angles on the people who work within the industry and other types of companies which they work for, said Engleman during the release. You can download the full survey by SEMPO members to know more on this.